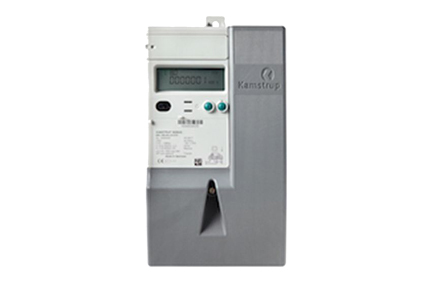 The Kamstrup 162-M is a direct connected electricity meter for registration of electric energy. The meter is full electronic without movable parts. Thus, energy registration is not affected by shock or impact during transport and mounting. Furthermore, mea-surements are correct, no matter the physical mounting direction. The shunt measuring principle secures good linearity and a considerable dynamic range. At the same time, the shunt measuring principle is immune to magnetism and DC currents.